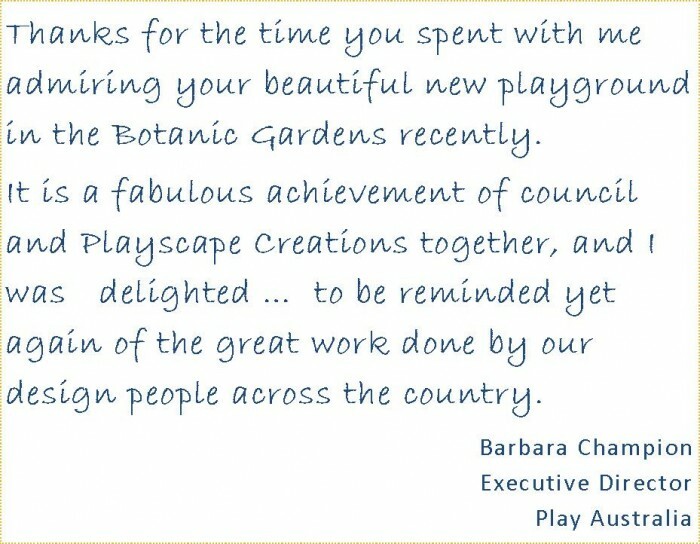 A stunning centrepiece from Landscape Structures incorporates botanical and heritage theming that was also a strong part of the brief, and our 7 Senses approach allowed us to design a centrepiece system and ancillary items that offered a variety of play value, sensory stimulation and inclusive play opportunities. 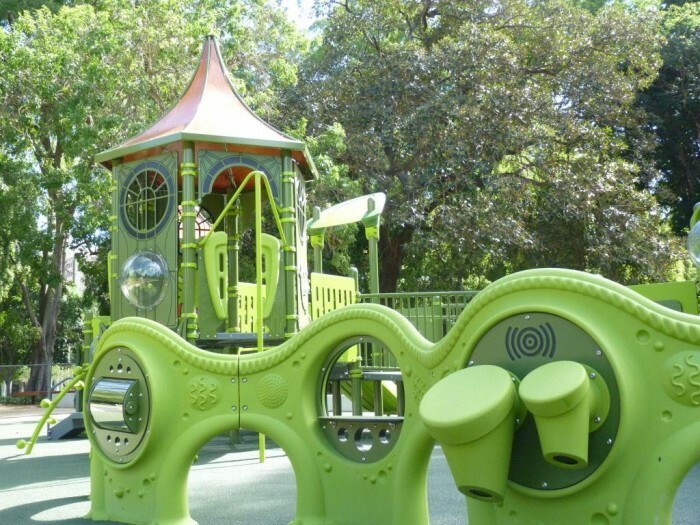 Unprescribed play routes and challenging equipment catering for all ages and abilities provides opportunities for active, social and cognitive play and “enables people of all ages and abilities to have equal access and participation in play”. 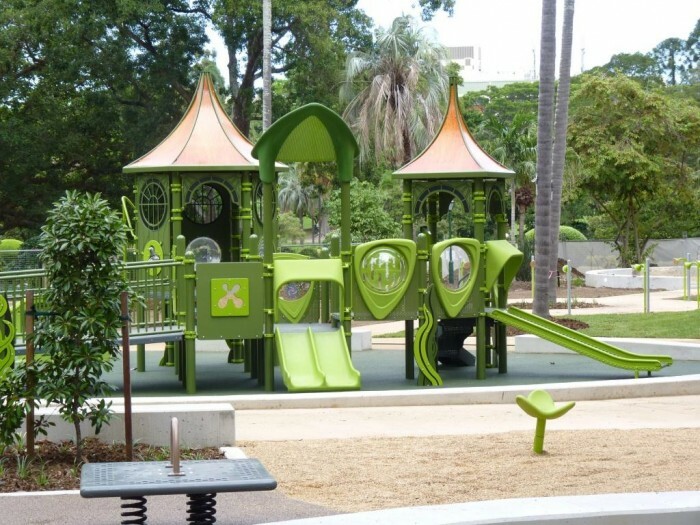 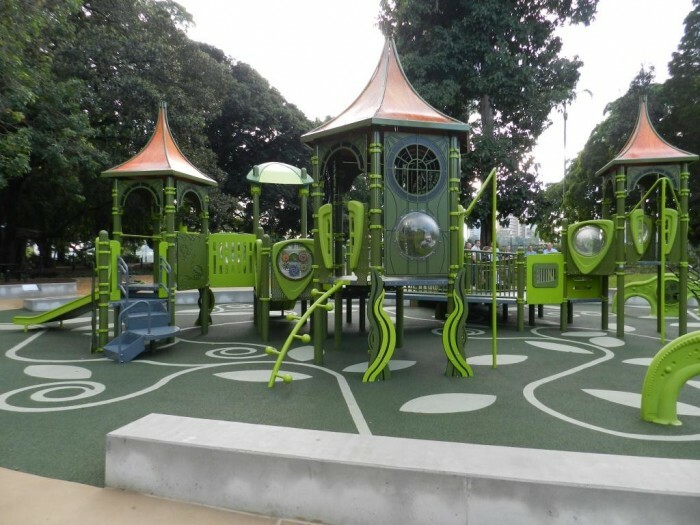 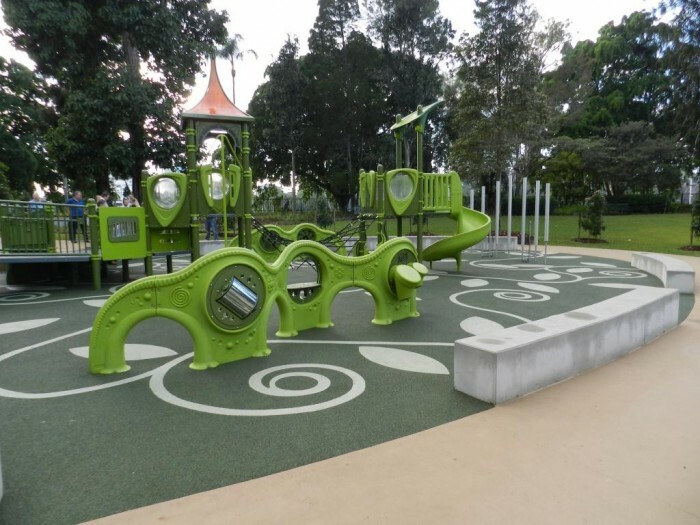 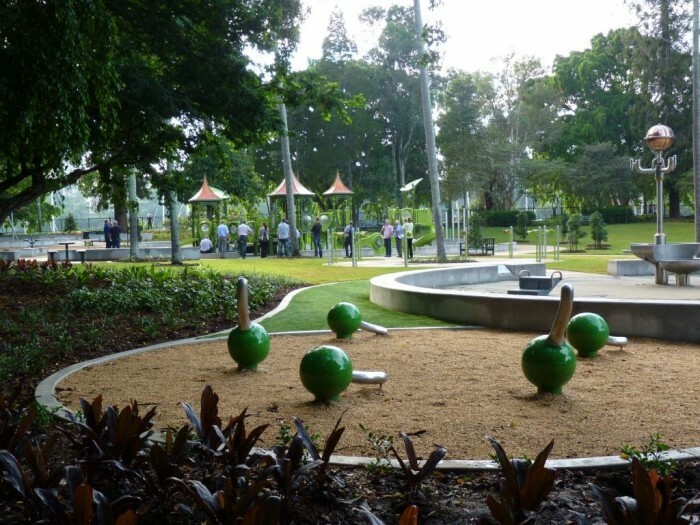 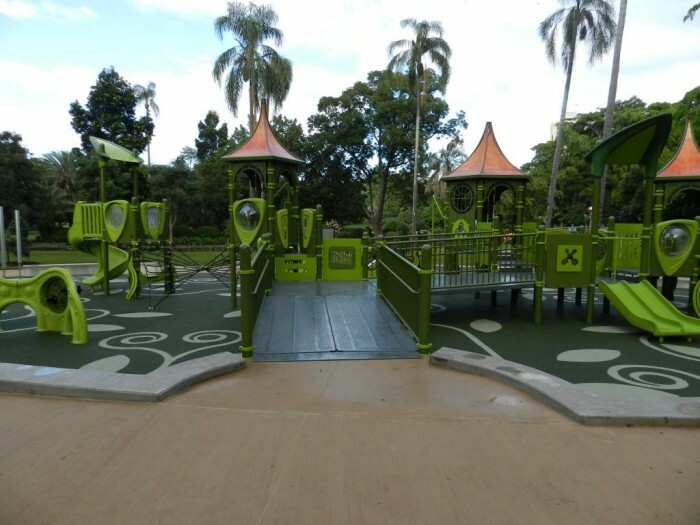 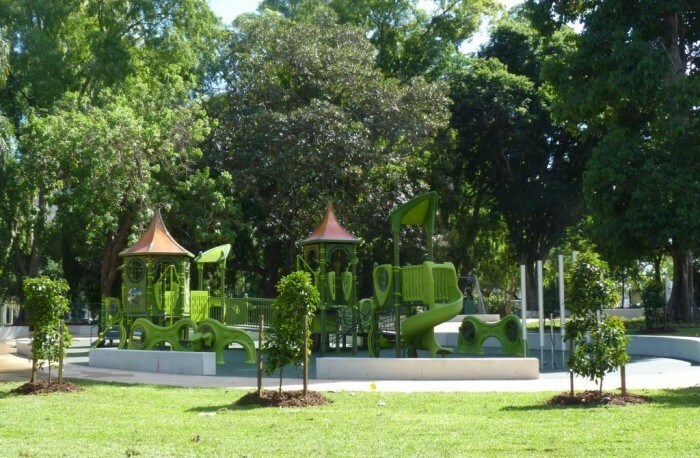 We have also incorporated the Contrabass Chimes from Freenotes Harmony Park – our first installation in Brisbane of these spectacular outdoor musical instruments. 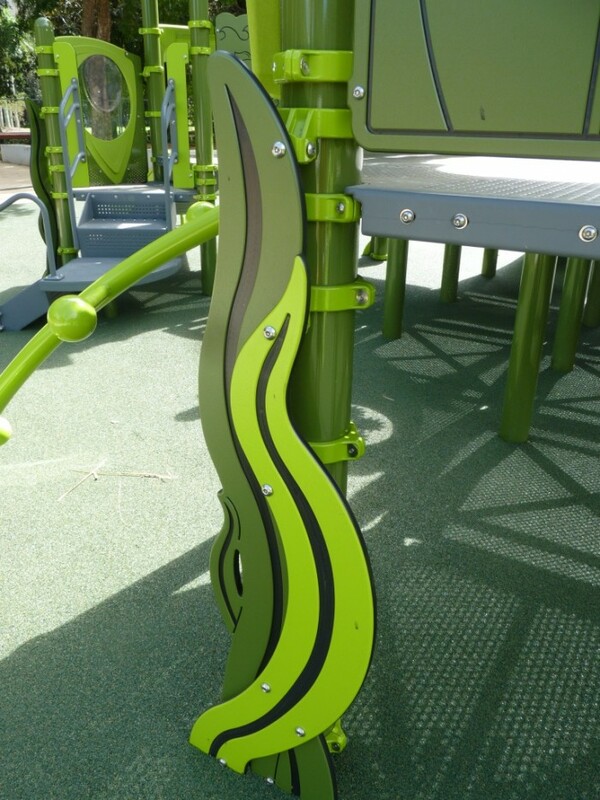 Powerful sounds are both heard and felt, sustaining long after the fundamental sound has ceased. 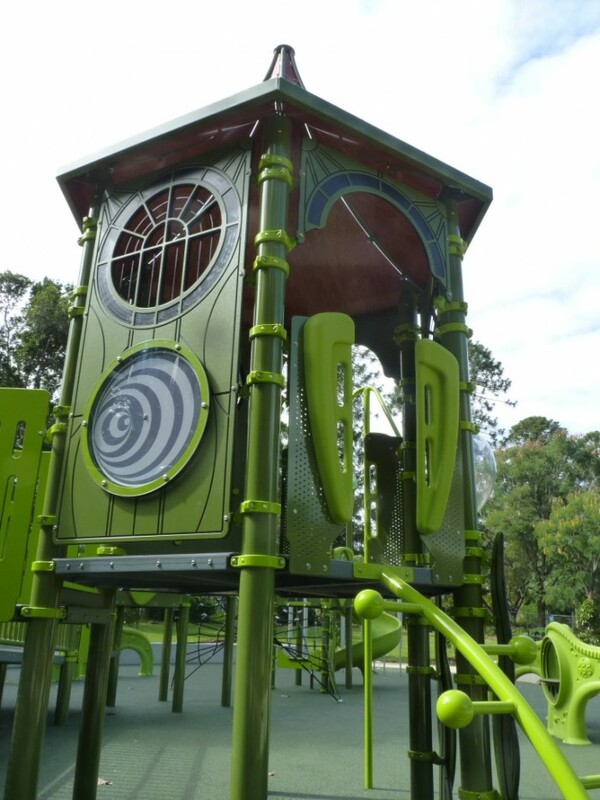 Not only do they provide an activity that appeals to all users, they enhance the architectural appeal with their towering appearance. 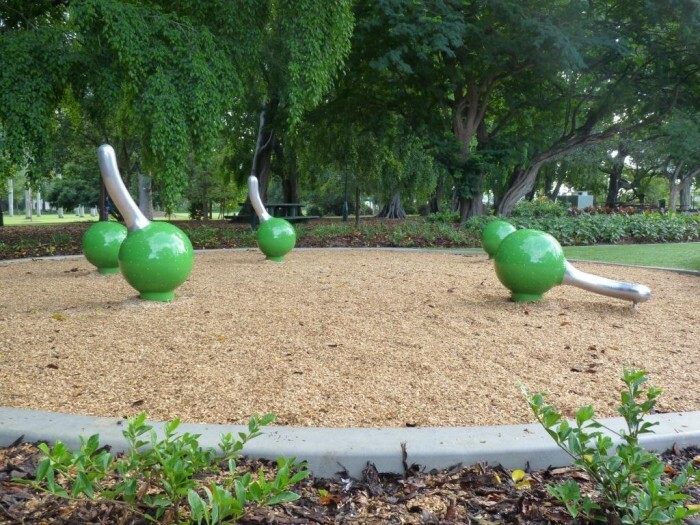 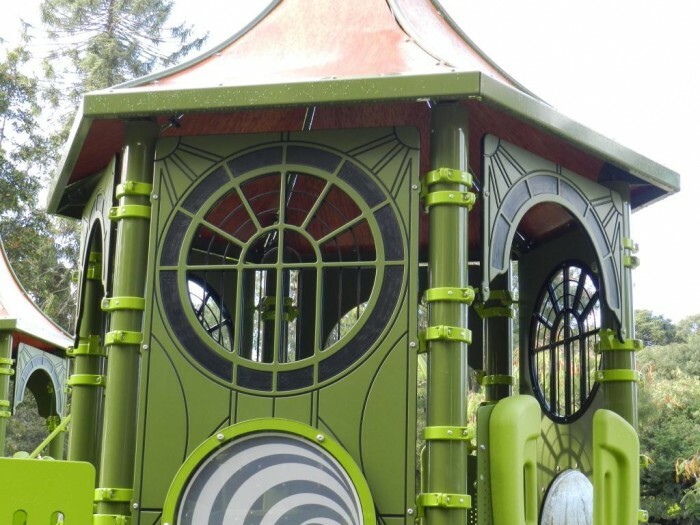 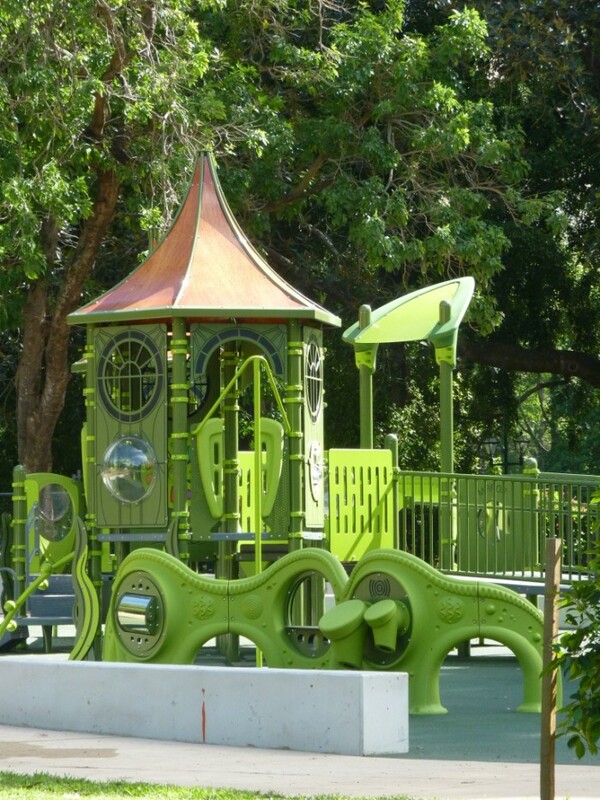 Open spaces, sand activities, exploration, swinging, spinning, rocking and sliding – what more could this space ask for. 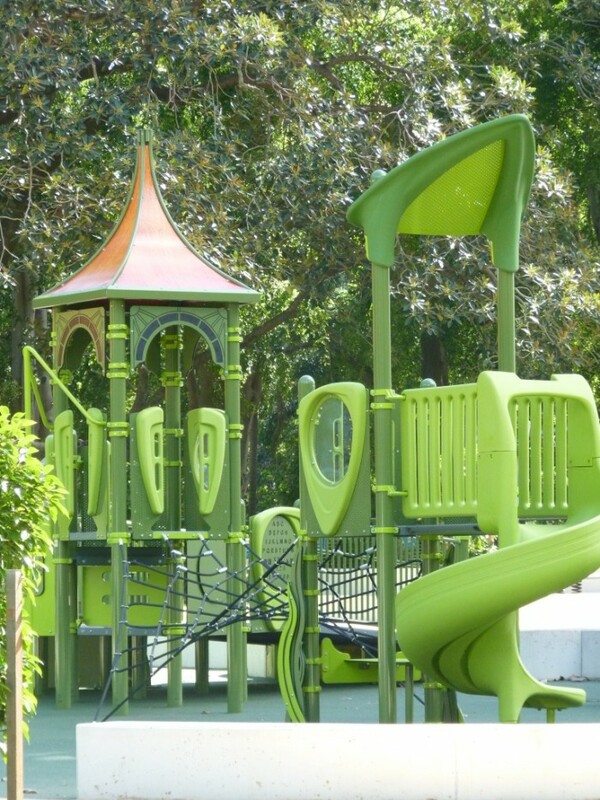 Be sure to drop by to play! 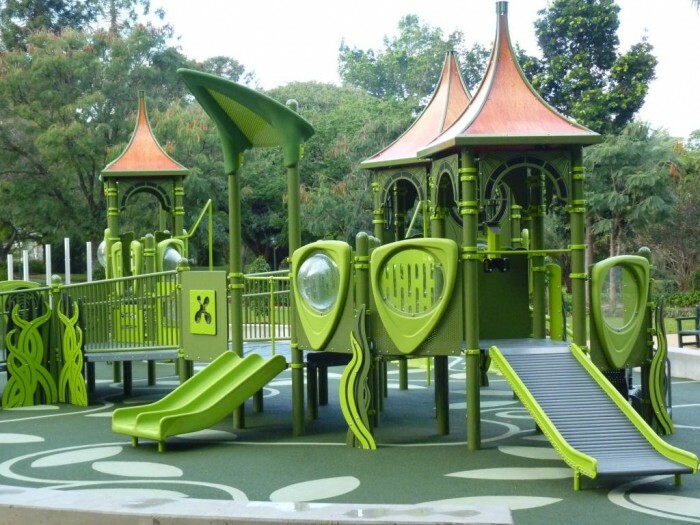 and a piece promoting Access and Inclusion from Australasian Leisure Magazine. 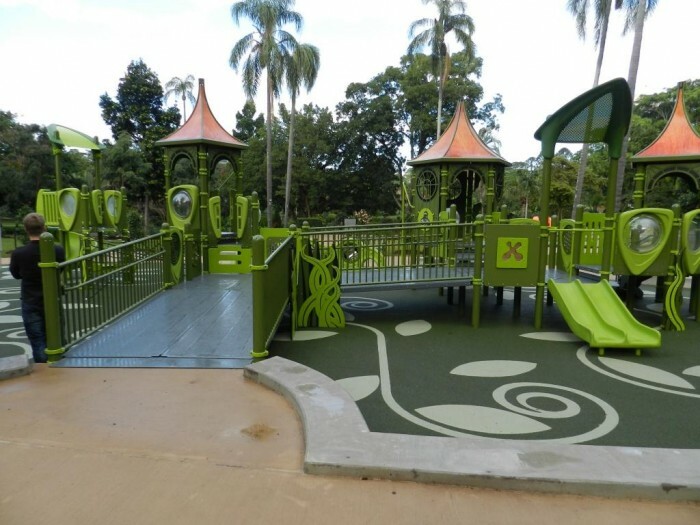 You can download our booklet on this playground, outlining the design intent and various components incorporated in the design, along with their developmental benefits.